From the publisher: A quirky framing of the Civil War grounded in solid scholarship. The Brown twin sisters have built historical dioramas to tell the story of the Civil War with an unexpected twist. The thousands of Union and Confederate soldiers depicted in the battles and scenes are cats! Little Round Top, Pickett’s Charge, Andersonville come to life in this fun, fanciful, solidly researched and highly visual representation of the War. The cats pull you in, and soon you’ll find you’re immersed and engaged, learning details and gaining a new and different perspective. 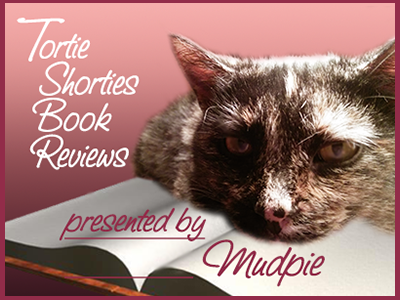 Tortie Shorties Review: I was first introduced to the Civil War Tails Diorama Museum in this blog post and was instantly intrigued, so when I learned the sisters/proprietors were writing a book I had to get my paws on a copy. Don't think this is just another cutesy cat book; it's filled with riveting Civil War stories obviously told by people who are passionate about the subject and have studied it in great detail. I enjoyed the focus in the book and the dioramas on individuals and their personal stories rather than broader themes. The fact that the soldiers are depicted as cats rather than men is just the icing on the cake! As the book says, "One visitor commented that seeing the dead and wounded would not have affected her if the figures were humans, but something about seeing bleeding kitties had an impact on her and gave her an appreciation for what the men went through." The detail in the dioramas is so extraordinary I found myself getting lost in the pictures. Visiting the museum is on my bucket list but until I can get there I'm sure I will be looking at this book frequently, because there will always be new details to be found. 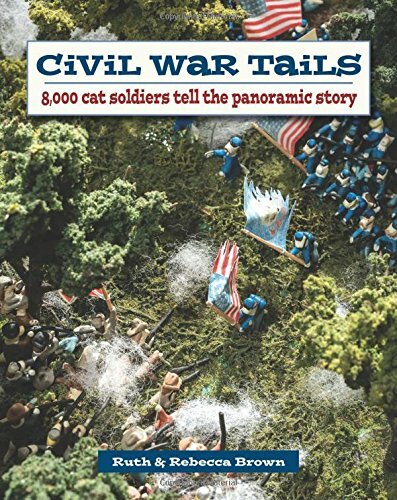 Civil War buffs and cat lovers alike will find themselves entranced by Civil War Tails! 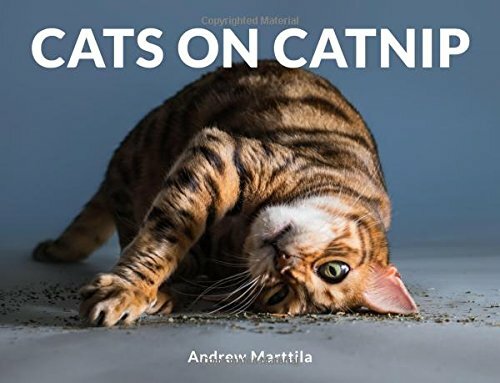 From the publisher: A humorous collection of dozens of photos of funny and adorable cats as they play with, roll in, and chow down their favorite snack of choice -- catnip. 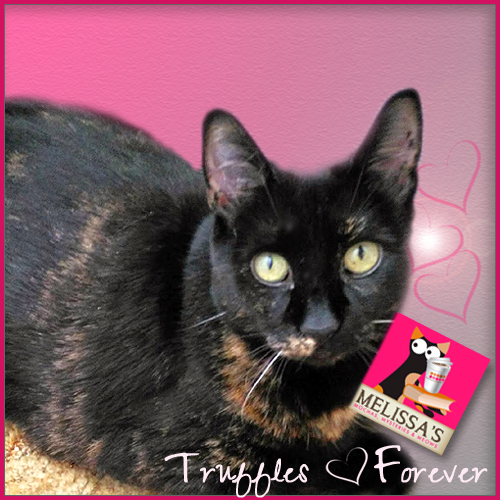 Tortie Shorties Review: This is a book sure to leave cat lovers of all ages grinning from ear to ear as you flip through page after page of adorable kitties enjoying their "nip". There's nothing more enjoyable than watching cats having fun, but with the exquisite close-ups from photographer Andrew Marttila (Kitten Lady Hannah Shaw's partner!) the cats feel as though they're about to leap right off the pages. Keep this one on your coffee table for any time you need a little cheering up! Hey, thanks for linking to my post! :) I still have not been to see those dioramas in person, and Gettysburg is just over an hour up the road from us, so shame on me. 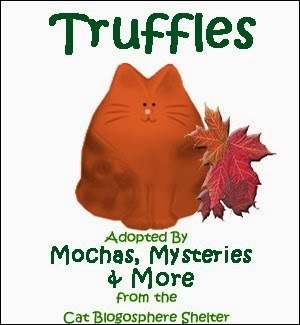 The book does look good, and so does the catnip one. There's nothing funnier than a cat tripping on nip! Thanks, Melissa and Mudpie. The work that went into the dioramas has to be amazing! 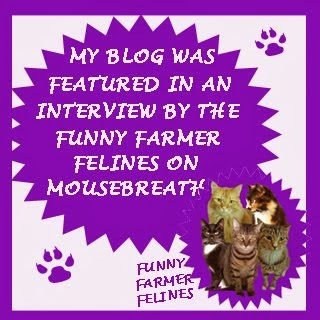 A friend of ours is a HUGE Civil War history buff...and a cat-lover too! Both of these books have me so intrigued. The quote about the impact of seeing bleeding kitties really resonates with me. 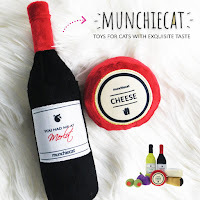 And I can imagine smiling and laughing my entire way through Cats on Catnip. 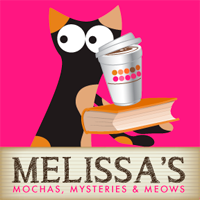 Thank you for always sharing such purrfect reads with us! Cats on Catnip!! I can't believe they didn't feature Frodo! Wowy, Mom and I would luv to see that diorama of those soldiering pussycats. That must've taken fur-ever to make! 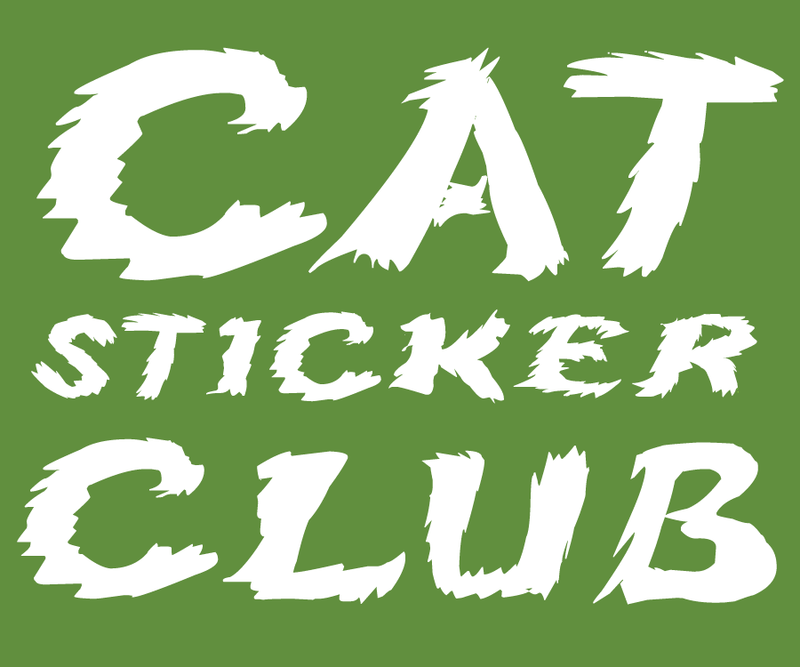 And what a creative idea to let the war history through the perspective of pussycats! I follow Andrew on social media. What a great idea for a book!